Unable turn on Windows Defender manually in Windows 10, Windows 8 or Windows 7 – or Windows Defender won’t or will not turn on and start. Windows Defender protects your PC or laptop from spyware and other potentially unwanted programs. How to turn on windows defender? In Windows 10 Windows Defender has a small Shield icon that can be found in the taskbar, though in earlier versions of Windows you should look for a castle icon. Look in the taskbar for this icon: it may be hidden in the more options menu, which you can access by clicking the upwards triangle icon. Windows Defender is the antivirus that comes by default in Windows 10 , serves as a simple protection against the threats of the network but may occasionally stop working without an apparent reason. Not a few users have complained that this tool stops working when you install Windows 10 Anniversary . If you are among the unlucky ones who can not activate Windows Defender , follow these troubleshooting tips. How to turn on windows defender? If we have installed a non- Windows Defender Antivirus , even when we are not using it, it is advisable to uninstall it so that it can not create any type of conflict. In case we do not have any third party Antivirus installed but we had it at some time, Microsoft recommends downloading and running specific applications of each Antivirus and that completely erases them from the system without a trace. It is possible that the Windows Defender system files have been corrupted . To solve this we must run the System File Checker . Once executed we will enter the following command sfc / scannow and press Enter , we just have to let the process finish. 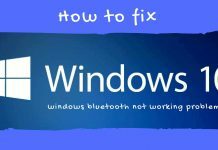 Windows usually has a number of tools that are hidden and are quite useful, as is the case of System Configurations . To call it you must open the Start Menu, search for System Settings and run it. Once inside we go to the Services tab and activate the box Hide all Microsoft services so that only those that are from third-party applications are seen. Another recommended option is to clear the boot from the Task Manager. To do this we doing the next: How to turn on windows defender? Open the Task Manager by right clicking on the Taskbar and go to the Home tab . 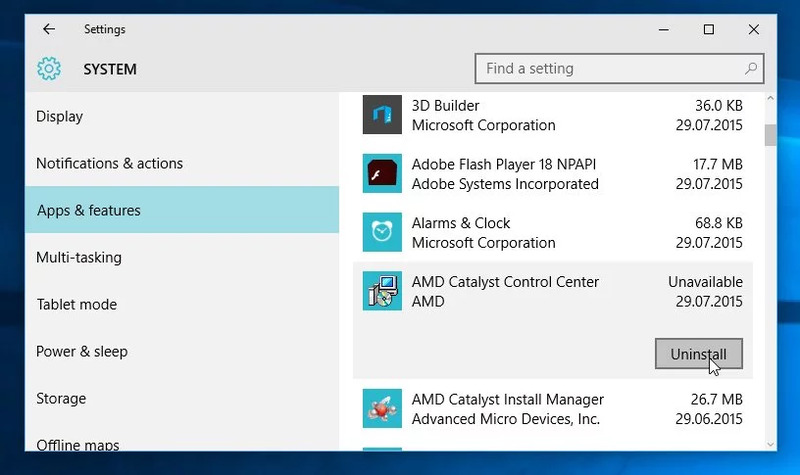 Here we will be able to disable all the applications that run when Windows 10 starts , we disable everything. If all of the above fails we can make sure that this service called Security Center is enabled. I hope this has been useful and that Windows Defender comes back to life . See you next time. Click the Start menu and choose Settings . Click on the Windows Defender link on the left . Turns off the three “switches” on the right (“Real-time protection”, “Cloud-based protection” and “Sending samples”). Close the configuration window. Keep reading to permanently disable it. The above steps only do so temporarily. Because after a while Windows reactivates it on its own even if you have disabled it. Right-click on Windows Start and select Run . In the “Run” window, type regedit (and press Enter on your keyboard). Confirm with Yes the security warning. You go into the Windows registry. On the left is a series of folders. Double-clicking on them displays the subfolders they contain. Double-click HKEY_LOCAL_MACHINE . Then in the subfolders SOFTWARE -> Policies -> Microsoft -> Windows Defender . On the RIGHT side click on an empty site with the RIGHT button and choose New -> DWORD Value (32 bits) . Type the name DisableAntiSpyware for that new key and hit Enter . 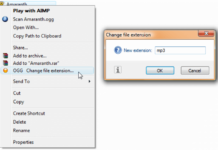 Double-click on the name of the key (DisableAntiSpyware). In your properties window, type 1 in the Value data field and press OK . Close the Windows registry. Follow the appropriate steps according to what you have done. How to turn on windows defender? Try it as follows when the switches are dimmed and you can not change them. -Hold the RIGHT button on Start and choose Run .- Type regedit , press Enter and confirm the prompt. -Re-log in as before to the HKEY_LOCAL_MACHINE \ SOFTWARE \ Policies \ Microsoft \ Windows Defender registry folder . -Double-click the DisableAntiSpyware key on the right . Now write the number 0 in the “Value data” field and press OK . Close the log. -Enter Start -> Settings -> Update and Security -> Windows Defender and check that the “Real-time protection” switch is enabled. Enable it if you need to. Some antivirus or style programs disable Windows Defender on your own. In these cases it is often necessary to uninstall the antivirus or similar first so that you can reactivate it. Go to Start -> Settings -> Update and Security -> Windows Defender . If a red warning appears in your main window, press the Activate or Startbutton now that is in it. Windows Defender serves to protect you. Disable it only if you already have an antivirus and firewall installed. 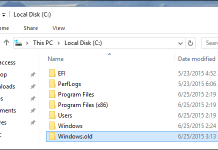 Configure the Windows 10 UAC . Be especially careful if you install new unknown programs. Try not to visit unreliable websites or download anything from them. Enable automatic Windows updates . 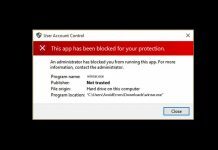 Windows Defender is disabled and does not currently monitor the computer , it is the message that Windows 8 usually shows you if you do not have an antivirus installed on your system, and you do not have activated the Windows Defender antivirus that comes integrated with Windows 8.1. To activate or deactivate Windows Defender in Windows 8 I will show you two ways to activate it, but if you already have it activated and you want to disable it you can follow the same steps, but in reverse. Well, let’s get down to business. Step 1. We go to the Home screen, click on the image of “Magnifier” and type “Windows Defender” and click on the result. Step 2. In the “Configuration” tab of the antivirus, to activate it we check the box that says “Activate protection in real time (recommended)” and save the changes. Step 2. In the window shown below we click on “activate now”, wait a few seconds, and we will open the settings of Windows Defender antivirus and it will be activated automatically. Remember that if you want to disable Windows antivirus defender you only have to follow the steps but in reverse. I can not activate Windows Defender; how do I solve it? Windows Defender works as the first line of defense against any type of malware and spyware infection that can affect your system. Microsoft provides this anti-malware programfor free for customers using Windows . It allows end users to schedule a manual scan or run a quick, complete or custom scan. However, sometimes a user may experience problems when trying to activate Windows Defender . It could be in the situation where the antivirus is turned off and does not work. 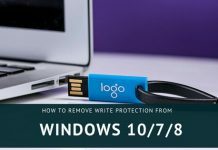 It may also be that Windows Defender automatically turns itself off when you start your computer or at any time while you are working on it. For these reasons, on this occasion we wanted to come with some instructions to help you solve this problem. It may be that you have received one of these messages: “This application is disabled and does not currently monitor the computer” or “Windows Defender has been shut down, and is not in control of your computer”. Go to the Action Center and see if you can activate Windows Defender . You should confirm that your system is up to date with the latest Widnows updates, including the latest version of Windows Defender and its virus definitions. Have you recently uninstalled some other antivirus program on your system? It may be that an incomplete or partial uninstallation occasions problems. 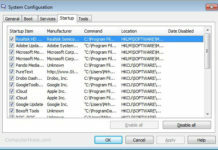 Try to use some uninstaller to remove remnants of uninstalled programs . Have you recently scanned your PC for malware? or have you recently recovered from any malware infection? Then it is recommended that you download a standalone antivirus or use an online scanner to analyze and disinfect your PC. Make sure that the Windows Defender service is running and in automatic mode. To do this you must open the Run dialog box with the Windows + R shortcut ; then you write services. msc and press Enter . This will open the Service Manager, and here you can verify that the Windows Defender service is started and configured automatically. In the left pane, make sure that the DWORD values DisableAntiSpyware and DisableAntiVirus are set to “1”. There is also the possibility that the Windows Security Center will show you the message to review settings for malware protection; and when you press the “Power On” button, the message “No new definitions of Windows Defender is available for download”. The problem may be caused by an inconsistency in the Windows Management Instrumentation (WMI) repository. In such a case, a restart of the WMI repository should solve the drawback. If you receive a message like “winmgmt / salvagerepository has failed”, ignore it and repeat the previous command. A consistency check will be performed on the WMI repository and the problem will be solved. Restart the PC and then try to activate Windows Defender. Did a virus disable Windows Defender on Windows 10? Windows 10 is the new operating system of Microsoft, which has gained good reviews ( and bad ) with its new features and extensions that make it much more dynamic. Among them, Cortana , an integrated personal assistant who tries to have a closer relationship with the user thanks to direct contact with his private information, which by the way is a much debated topic. However, although Windows 10 has improved many of its bugs , there are still vulnerabilities; this time let’s talk about “Windows Defender” . Windows Defender is the system’s default antivirus protection system. This one is able to detect if another antivirus is installed and, if so, it is deactivated by itself , remaining in charge of the other antivirus, to protect the system to 100%. But … and if only my Windows Defender was deactivated without installing anything? Bingo, a virus . 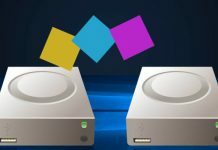 If a virus wants to enter your computer to perform a specific function, without being detected by WD, the first thing to do is to deactivate the same. And yes, it does. But can we activate it manually ?. In some cases no and we will explain why. One of the tactics currently being done against W10 is to disable Windows Defender by creating logging in the depths of your configuration. “The app is turned off by group policy.” This is the message I am getting when I am trying to access Windows Defender. What can I do? Method 1: Enable Windows Defender in Group Policy. Step 1: Open Local Group Policy Editor. Step 2: Locate and open the “Turn off Windows Defender” setting. Step 3: Choose Not Configured (or Disabled), and click OK. 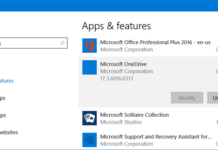 Method 2: Enable Windows Defender in the Action Center. STEP 1: Access Control Panel, input action center in the top-right search box and tap Action Center to get into it. Step 2: Tap the Turn on now button on the right of “Spyware and unwanted software protection (Important)”. Method 3: Enable Windows Defender in Windows Defender Service. If a prompt message tells you that Windows Defender isn’t monitoring your PC because the program’s service stopped (as exhibited in the picture below), you can go to enable the app in Windows Defender Service with the help of the following steps. Step 1: Open the Search bar by Windows+F, type services in the empty box, choose Settings and tap View local services to open Services. Step 2: Find and double-click Windows Defender Service. Step 3: As the Windows Defender Service Properties window turns up, in General settings, click the bar beside Startup type, choose Automatic from the drop-down list and tap OK to complete the setting. Fast : Search for malware in the most common infection locations on your hard drive C:. Complete : scan the entire file system and hard disks on your machine for viruses. Customized : it will allow us to choose the unit or units that we want to analyze, as well as in concrete folders. I must clarify that I have been conducting weekly exams since I uninstalled Avast, and in all of them my computer has been clean as a paten. If you find security threats, at the end of the analysis you will show them and ask us to say what to do with them . For this gives us three options: remove, quarantine and allow. If we choose “remove” the program will try to delete the file from our hard disk. If we quarantine it, it will remain in a secure area of ​​the software where the files are encrypted and stored so that they can not transfer the virus to other files. If on the contrary it is a false positive, then we can use the “allow” option. From the point of view of a person who gives a current use to your computer, does not use warez and does not ask an antivirus anything unless it does its job, Windows Defender can be a header program without problems, although it is not of more than its use is accompanied with an antimalware. During the month that I have been testing I have found a solid and lightweight antivirus that complies with what it promises, that it knows its function, that does not make me dizzy while trying to show me what it is capable of doing and that, about everything, do not try to sell me anything. Now, I’m sure there will be those who will scream in the sky for saying this and I am aware that everyone has their needs, but there it goes: nothing and nobody assures us that third-party antivirus works better than Windows Defender. Not even the comparatives. In those publications, at most, what is said is the one that most malware detects. Within my experience of use, for me it is important that the program does its job and do not try to distract the user with a lot of technical features that, on the other hand, will not do better than the rest of the competition. More complete? Can. Different? Insurance. The rest can not be assured. On the other hand, and taking all of this into account, I have come to the conclusion that we have probably demonized Microsoft , perhaps unfairly. In fact, the demonization process has been active for a long time. In this article published in the SFGate in 1998 by Neil McAllister talks about the theme, citing several responsible for the implementation of a campaign to achieve this: Apple, Sun Microsystems, Oracle and Netscape. For Microsoft’s competitors, it is not important that we understand the difference between an evil and a benign monopoly, or how a monopoly is identified in the American economy. For your purposes it is sufficient that we recognize that Microsoft is a monster, and that this is our opportunity to lock the beast in a tower and set it on fire … or lock it chained in the basement for a while. Does this mean that I am now going to be an apostle of Microsoft and I will defend them by the sword? Of course not . The merits will have to be recognized, but it will also be necessary to do the same with mistakes. 1.2 I can not activate Windows Defender; how do I solve it? 1.3 Did a virus disable Windows Defender on Windows 10? 1.3.0.1 But … and if only my Windows Defender was deactivated without installing anything? Bingo, a virus . 1.5.0.0.1 “The app is turned off by group policy.” This is the message I am getting when I am trying to access Windows Defender. What can I do?